Pellets are something everyone has a opinion about, because of this I went around and found as many ingredients as I could and posted them all together on this thread. 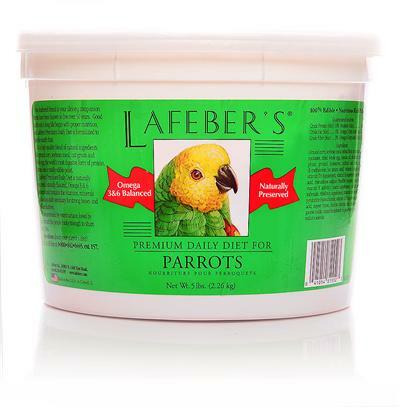 It will be a great place to compare ingredients and for people new to the world of parrots will be able to see what is available on the market. Try to avoid pellets that have a lot of filler ingredients, artificial colors, ethoxyquin, bha/bht, salt, and sugar. Buy human grade pellets whenever possible. Also be aware that Vitamin K supplement has been banned in human food for toxicity. Ingredients: *Ground Yellow Corn, *Ground Hulless Barley, *Ground Soybeans, *Ground Shelled Peanuts, *Ground Shelled Sunflower Seeds, *Ground Lentils, *Ground Green Peas, *Ground Rice, *Ground Toasted Oat Groats, *Ground Sun-Dried Alfalfa, Calcium Carbonate, *Psyllium, Montmorillonite Clay, *Spirulina, *Ground Dried Sea Kelp, Vitamin E Supplement, Sea Salt, Vitamin A Supplement, Vitamin D3 Supplement, Niacin Supplement, Vitamin B12 Supplement, Riboflavin Supplement, d-Calcium Pantothenate, Pyridoxine Hydrochloride, d-Biotin, Thiamine Mononitrate, Sodium Selenite. Certified Organic Ingredients: Rice, hulled millet, barley, alfalfa leaf, sunflower seed hulled, sesame seeds unhulled, quinoa whole, buckwheat hulled, dandelion leaf powder, carrot powder, spinach leaf powder, purple dulse, kelp, rose hips powder, rose hips crushed, orange peel powder, lemon peel powder, rosemary whole leaf, cayenne ground, crushed red chili peppers, nettle leaf. Ingredients- Hulled organic barley, Roasted organic soybeans, Organic corn, Organic pureed papaya, Organic Triticali, Shelled almonds, Organic flax seed, Organic hulled oats, Organic alfalfa, Maltoferm malt extract, Organic Pasteurized honey, Organic Quinoa, Organic Kamut, Beets, Amaranth, Organic spelt, Apples (cored), Sesame seed, organic Fenugreek, Pureed organic Guava, shelled Pumpkin seed, Dried Lactobacillus acidophillis fermentation product, Dried Lactobacillus casei fermentation product, Dried Lactobacillus plantarum fermentation product, Dried Lactobacillus fermentum fermentation product, Dried Enterococcus faecium fermentation product, and Dried Enterococcus faecium fermentation product, and Dried Bifidobacterium longum fermentation product. Parsley, Fennel seed, Sweet potatoes, Carrots, Blueberries, Raspberries, Wheat grass, Star anise seed, Ginger, Echinacea, Red clover leaf and Cilantro. Ingredients: Ground Corn, Soybean Meal, Ground Millet, Ground Oat Groats, Ground Barley, Ground Wheat, Wheat Germ Meal, Sugar, Vegetable Oil (preserved with Mixed Tocopherols), Ground Flaxseed, Calcium Carbonate, Dicalcium Phosphate, Dried Carrots, Dried Celery, Dried Beets, Dried Parsley, Dried Lettuce, Dried Watercress, Dried Spinach, Dried Cranberries, Dried Blueberries, Iodized Salt, DL-Methionine, Choline Chloride, L-Lysine, Vitamins (Vitamin E Supplement, Niacin, Calcium Pantothenate, Pyridoxine Hydrochloride, Vitamin A Supplement, Biotin , Riboflavin, Thiamine Mononitrate, Menadione Sodium Bisulfite Complex (source of Vitamin K activity), Vitamin B12 Supplement, Folic Acid, Vitamin D3 Supplement), Preserved with Mixed Tocopherols and Citric Acid, Hydrolyzed Yeast, L-Ascorbyl-2-Polyphosphate (a source of Vitamin C), Minerals (Manganous Oxide, Zinc Oxide, Copper Sulfate, Sodium Selenite, Calcium Iodate), and Rosemary Extract. Ingredients: Ground Corn, Soybean Meal, Ground Wheat, Wheat Germ Meal, Sugar, Vegetable Oil (preserved with mixed tocopherols), Calcium Carbonate, Dicalcium Phosphate, Iodized Salt, DL-Methionine, Dried Bananas, Dried Oranges, Dried Apples, Dried Grapes, Choline Chloride, Natural Fruit Flavors, Vitamins (Vitamin E Supplement, Niacin, Calcium Pantothenate, Vitamin A Supplement, Biotin, Riboflavin, Pyridoxine Hydrochloride, Thiamine Mononitrate, Menadione Sodium Bisulfite Complex (source of Vitamin K Activity), Vitamin B12 Supplement, Vitamin D3 Supplement, Folic Acid), L-Lysine, Artificial Colors, Preserved with Mixed Tocopherols and Citric Acid, L-Ascorbyl-2-Polyphosphate (a source of Vitamin C), Minerals (Manganous Oxide, Zinc Oxide, Copper Sulfate, Sodium Selenite, Calcium Iodate), and Rosemary Extract. Ingredients: Whole grain yellow corn, soybean meal, corn gluten meal, corn hominy feed, sucrose, sugar beet pulp, dehydrated alfalfa, soybean oil, zinc sulfate, flaxseed oil, dicalcium phosphate, niacin supplement, apple fiber, manganese sulfate, ferrous sulfate, calcium carbonate, calcium pantothenate, sodium chloride, l-lysine, copper sulfate, riboflavin supplement, thiamin mononitrate, cobalt oxide, folic acid, menadione nicotinamide bisulfite, l-ascorbyl-2-polyphosphate (source of vitamin C), pyridoxine hydrochloride, choline chloride, propionic acid, ethylenediamine dihydriodide, d-biotin, sodium selenite, vitamin B-12 supplement, vitamin A supplement, vitamin D-3 supplement, vitamin E supplement. Ingredients: Ground Corn, Ground Wheat, Peanut Meal, Soy Oil, Soy Meal, Hydrated Sodium Calcium Aluminosilicate, Yucca schidigen Extract, Salt, Calcium Carbonate, L-Lysine, DL-Methionine, Mixed Tocopherols, Rosemary Extract, Ascorbic Acid, Citric Acid, Lecithin, Silicon Dioxide (carrier for liquid antioxidants), Sodium Selenite (on Calcium Carbonate), Niacin, Alpha-Tocopherol Acetate (Source of Vitamin E), Biotin, Manganese Sulfate, Calcium Pantothenate, Zinc Oxide, Riboflavin, Pyridoxine Hydrochloride, Vit. A Acetate, Thiamine, Menadione Sodium Bisulfite Complex (Vit K), Cyanocobalamin (VitB12), Vit D3 Sup. Folic Acid, Ethylenediamine Dihydriodide, Propionic Acid, Ammonium Hydroxide, Acetic Acid, Sorbic Acid, Tartaric Acid, and natural apple flavoring. Ingredients:Ground corn, soybean meal, wheat flour, oat groats, cane molasses, dried whole egg, canola oil, dicalcium phosphate, ground limestone, iodized salt, citric acid, dl-methionine (an essential amino acid), l-lysine (an essential amino acid), Vitamin A supplement, Vitamin D3 supplement, Vitamin E supplement, ascorbic acid, menadione sodium bisulfite complex (source of Vitamin K activity), niacin supplement, calcium pantothenate, riboflavin supplement, thiamine mononitrate, pyridoxine hydrochloride, Vitamin B12 supplement, folic acid, copper lysine, choline chloride, zinc oxide, manganese oxide, mixed tocopherols (a preservative), biotin, sodium selenite. Last edited by Featheredsamurai; 02-19-2013 at 05:26 PM. Pretty bird says all over that they buy human grade ingredients, but I can't find if they use human grade facilities. Does anyone know? Ingredients: Corn, Soy Concentrate, Corn Gluten Meal, Fructose, Soya Oil, Coconut Oil, Oat Fiber, Flax Seed, Palm Oil, Calcium Carbonate, Yeast, Yeast Extracts, DL Methionine, Dicalcium Phosphate, L-Lysine, L-Tryptophan, Choline Chloride, Natural and Artificial Flavors, Lactobacillus Acidophilus Fermentation Product Dehydrated, Lactobacillus Casei Fermentation Product Dehydrated, Bifido Bacterium Thermophilum Fermentation Product Dehydrated, Enterococcus Faecium Fermentation Product Dehydrated, Dried Aspergillus niger fermentation extract, dried bacillus subtilis fermentation extract, Salt, Dried Aspergillus oryzae fermentation product, Isoleucine, L-Threonine, Vitamin E Supplement, Ascorbic Acid (Vitamin C), Ferrous Sulfate, D-Biotin, Yucca Schidigera Extract, Zinc Oxide, Manganous Oxide, Niacinamide, Magnesium Oxide, Vitamin B12 Supplement, Rosemary Extract, Mixed Tocopherols, Copper Sulfate, Calcium Iodate, Calcium Pantothenate, Vitamin A Supplement, Sodium Selenite, Folic Acid, Riboflavin, Pyridoxine Hydrochloride, Thiamine Mononitrate, Menadione Dimethylpyrimidinol Bisulfite (source of Vitamin K3), Vitamin D3 Supplement, Cobalt Sulfate. Ingredients: Ground Corn, Ground Oats, Corn Gluten Meal, Ground Wheat, Coconut Oil, Soya Oil, Calcium Carbonate, Dicalcium Phosphate, L-Lysine Monohydrochloride, Choline Chloride, Natural and Artificial Flavors, DL-Methionine, Vitamin E Supplement, Ascorbic Acid (Vitamin C), Ferrous Sulfate, D-Biotin, Yucca Schidigera Extract, Zinc Oxide, Manganous Oxide, Niacinamide, Magnesium Oxide, Vitamin B12 Supplement, BHT (as a preservative), Copper Sulfate, Calcium Iodate, Calcium Pantothenate, Beta Carotene, Vitamin A Supplement, Sodium Selenite, Folic Acid, Riboflavin, Pyridoxine Hydrochloride, Thiamine Mononitrate, Natural and Artificial Colors, Menadione Dimethylpyrimidinol Bisulfite (Vitamin K3), Vitamin D3 Supplement, Cobalt Sulfate, Betaine Anhydrous. Ingredients: Australian whole grains: Corn, Wheat & Soybean, Oats, Fructose, vitamins, minerals, amino acids & vegetable oils. Ingredients: Fresh Australian Wholegrains (soybean, wheat & maize (corn)), vitamins (A, B6, B12, C, D3 and E), minerals (calcium, copper, iron, magnesium, phosphorus, selenium, sodium & zinc), fruity flavours (apple, blueberry & raspberry), lysine, methionine, vegetable oils and natural organic acids. Ingredients: Ground triticale, wheat, barley, maize and oats. Whey and soy proteins, meat meal, lysine, methionine, vegetable oils, omega-3 and omega-6 fatty acids, vitamins A, B1, B2, B6, B12, C, D3, E, K, nicotinamide, pantothenic acid, folic acid, choline, inositol, calcium, phosphorus, potassium, sodium, magnesium, zinc, iron, manganese, copper, iodine, selenium. Ingredients: Ground cereals, nuts and vegetables, whey and soy proteins, mannan oligosaccharides, b-glucans, lysine, methionine, vegetable oils, omega-3 and omega-6 fatty acids, carotenoids, vitamins A, B1, B2, B6, B12, C, D3, E, K, nicotinamide, pantothenic acid, folic acid, choline, inositol, calcium, phosphorus, potassium, sodium, magnesium, zinc, iron, manganese, copper, iodine, selenium. Ingredients: Ground Corn, Ground Wheat, Ground Oat Groats, Corn Gluten Meal, Wheat Middlings, Soybean Meal, Dried Whole Egg, Dried Beet Pulp, Soy Oil, Ground Flax Seed, Dicalcium Phosphate, Calcium Carbonate, Wheat Germ Meal, Corn Sugar, L-Lysine, Salt, Whole Cell Algae Meal (source of DHA), Fructooligosaccharide, Brewers Dried Yeast, Vitamin A Supplement, Choline Chloride, Dried Cane Molasses, Titanium Dioxide, Mixed Tocopherols (a preservative), Yeast Extract, DL-Methionine, Yucca Schidigera Extract, Vitamin E Supplement, Vitamin B12 Supplement, Riboflavin Supplement, Manganese Proteinate, Copper Proteinate, Ferrous Sulfate, Zinc Oxide, Manganous Oxide, Menadione Sodium Bisulfite Complex (source of Vitamin K activity), Niacin, Rosemary Extract, Citric Acid, Calcium Pantothenate, L-Carnitine, Copper Sulfate, Thiamine Mononitrate, Pyridoxine Hydrochloride, Cholecalciferol (source of Vitamin D3), Beta-Carotene, Canthaxanthin, Folic Acid, Calcium Iodate, Biotin, Cobalt Carbonate, Sodium Selenite, Dried Bacillus subtilis Fermantation Product, Dried Bacillus licheniformis Fermentation Product, Artificial Colors, and Natural Flavors. 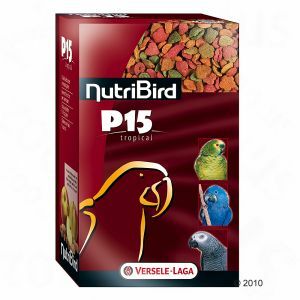 This is another pellet with a lacking/non detailed ingredients list Ingredients: Grains, seeds (at least 10% peanut kernels), fruit (at least 5% fresh fruit), vegetable protein extracts, vegetable by-products, sugar, minerals, L-lysine, methionine, extr. Yucca schidigera, fructo-oligosaccharides, vitamins, trace elements. Ingredients: Ground Yellow Corn, Brown Rice, Soybean Meal, Ground Wheat, Oatmeal, Cane Sugar, Canola Oil (preserved with mixed Tocopherols, a source of Vitamin E), Dicalcium Phosphate, Dried Egg Product, Flaxseed, Calcium Carbonate, Alfalfa Nutrient Concentrate, Sea Salt, Cranberries, Apples, Blueberries, Celery, Beets, Parsley, Lettuce, Spinach, Watercress, Brewer's Dried Yeast, DL-Methionine, L-Lysine, Choline Chloride, Algae Meal, Mixed Tocopherols (a natural preservative), Rosemary Extract, Potassium Chloride, Yeast Extract, Iron Oxide, L-Carnitine, Vitamin A Supplement, Vitamin D3 Supplement, Vitamin E Supplement, L-Ascorbyl-2-polyphosphate (Source of Vitamin C), Zinc Sulfate, Ferrous Sulfate, Niacin, Folic Acid, Biotin, Manganese Sulfate, Copper Sulfate, Calcium Pantothenate, Thiamine Mononitrate, Pyridoxine Hydrochloride, Riboflavin Supplement, Zinc Proteinate, Manganese Proteinate, Copper Proteinate, Menadione Sodium Bisulfite Complex (Source of Vitamin K), Calcium Iodate, Sodium Selenite, Cobalt Carbonate, Vitamin B12 Supplement, Turmeric, Natural Annatto Coloring, Beet Juice, Natural Citrus Flavor, Natural Banana Flavor, Natural Pineapple Flavor, Dried Enterococcus Faecium Fermentation Product, Dried Lactobacillus Acidophilus Fermentation Product, Dried Lactobacillus Casei Fermentation Product. Ingredients: Ground corn, soybean meal, whole wheat, brown rice, canola oil, sunflower kernel, peanut meat, calcium carbonate, oat groats, flaxseed meal, l-lysine, spirulina, yeast extract, dl-methionine, salt, choline chloride, orange oil, banana oil, calcium propionate (preservative), rosemary extract, carotene, zinc oxide, sodium selenite, vitamin e supplement, vitamin b12 supplement, copper sulfate, manganous oxide, folic acid, niacin, calcium pantothenate, vitamin a supplement, riboflavin, pyridoxine hydrochloride, thiamine monoitrate, biotin, ascorbic acid, menadione sodium bisulfite complex (source of vitamin k activity), calcium iodate, vitamin d3 supplement. Last edited by Featheredsamurai; 02-19-2013 at 07:04 PM. Thank you! That was very helpful! It was intresting to see the huge difference between brands! Terrific information, Ashley!!! Thanks so much for doing this. I admit, there are a couple I have never even heard of. Thanks I hope people really look at the ingredients, so many users on this forum will recommend non human grade filler pellets, even some vets recommend them which they shouldn't. Being able to see all the pellets together really shows us the difference, all I can say is that the ingredients speak for themselves. Ingredients: Ground Corn, Ground Oat Groats, Fructose, Potato Protein, Corn Gluten Meal, Coconut Oil, Soya Oil, Safflower Oil, Wheat Isolate, Calcium Carbonate, Dicalcium Phosphate, L-Lysine Monohydrochloride, Choline Chloride, Natural and Artificial Flavors, DL Methionine, Vitamin E Supplement, Ascorbic Acid (Vitamin C), Ferric Sulfate, D-Biotin, Yucca Schidigera Extract, Zinc Oxide, Manganese Oxide, Niacinamide, Vitamin B12 Supplement, BHT (as a Preservative), Copper Sulfate, Calcium Iodate, Beta Carotene, Vitamin A Supplement, Calcium Pantothenate, Sodium Selenite, Folic Acid, Riboflavin, Pyridoxine Hydrochloride, Thiamine Mononitrate, Natural and Artificial Colors, Menadione Dimethylpyrimidinol Bisulfite(Source of Vitamin K3), Vitamin D3 Supplement, Cobalt Sulfate. INGREDIENTS: Corn, Oats, Wheat, Soy Concentrate, Corn Gluten Meal, Soya Oil, Coconut Oil, Raisins, Coconut, Papaya, Apricot, Banana, Sweet Potato, Pineapple, Apple, Spinach, Broccoli, Carrots, Dates,Calcium Carbonate, Dicalcium Phosphate, L-Lysine, Choline Chloride, Natural and Artificial Flavors, DL Methionine, Isoleucine, L-Threonine, L-Tryptophan, Vitamin E Supplement, Ascorbic Acid (Vitamin C), Ferrous Sulfate, D-Biotin, Yucca Schidigera Extract, Zinc Oxide, Manganous Oxide, Niacinamide, Magnesium Oxide,Vitamin B12 Supplement, Mixed Tocopherols, Copper Sulfate, Calcium Iodate, Citric Acid, Calcium Pantothenate, Vitamin A Supplement, Sodium Selenite, Folic Acid, Riboflavin, Pyridoxine Hydrochloride, Thiamine Mononitrate, Natural and Artificial Colors, Menadione Dimethylpyrimidinol Bisulfite (source of Vitamin K3), Vitamin D3 Supplement, Cobalt Sulfate, Rosemary Extract. Last edited by Featheredsamurai; 02-19-2013 at 07:09 PM. Can someone do the Tropican series. 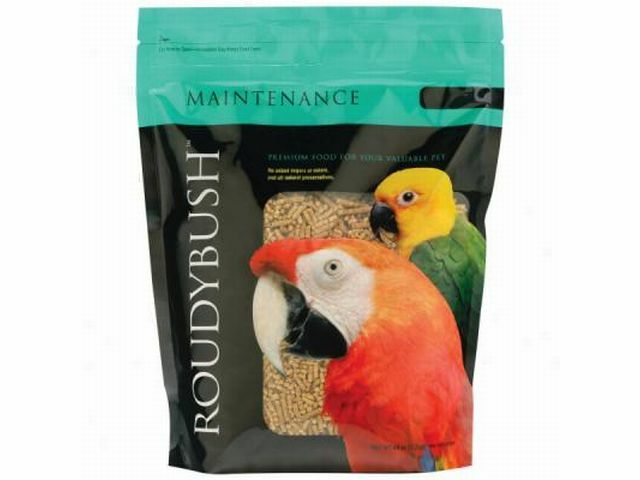 I feed Valentino the High Performance Parrot sticks and there is a lifetime formula maintance parrot parrot food sticks. I could only find it in a freaking 20 POUND bag which will take Valentino a LONG time to eat up. I have most of it frozen in the freezer right now but I would like to know how this pellet compaires to Harrison's High Potency course which I mix in with the Tropican. To me personally the Goldenfeast Gold'n Obles sound fantastic, and I have mixed them under other Goldenfeast mixes, but boy, they ARE expensive. I regularly mix TOPS and Zupreem Natural under my Goldenfeast mixes though, and have no complaints. Still, I think I'll add a pound or so of the Goldn' Obles from now on and less of the Zupreem. 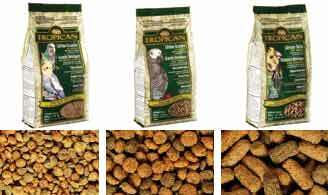 Tropican is the only formulated pelleted food line that most birds will need in their lifetime, from a newly hatched baby chick to a mature, breeding adult. For baby chicks, Tropican Hand Feeding Formula is a product with no guesswork, recipes or cooking required. 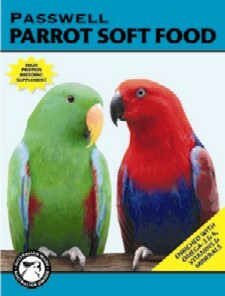 Tropican High Performance Granules and Biscuitsprovide stressed or breeding birds with extra protein and minerals. For regular maintenance,Tropican Lifetime Granules or Lifetime Food Sticks ensure that fussy eaters get a full balanced diet. Since Tropican incorporates vitamins and minerals, the Prime Supplement is not needed. H.A.R.I. "TIPS FROM THE VET"
Due to our new extrusion operation at Hagen Industries, our Tropican sizes are a bit different. And, notably the Sticks and the Biscuits. These lots are just now coming to the US inventory. The formulas, flavor & nutrient content, are the same high quality as before…in fact better. For about 10 years Hagen Pet Foods in NY had extruded our Tropican, in addition to our other extruded consumables (small animal), as well as the major tonnage for our Nutrience Dog & Cat Food products. The production of the smaller batches of pet foods in comparison to the dog & cat food was a production scheduling problem-and then it caused many delays in our inventory of Tropican products (and anything else with Tropican, such as Tropimix & Living World Premium Bird Seed Mixes). Now that we’re producing the Tropican products right at Hagen Industries, we have smaller batches-all with laboratory testing and quality control lot testing at HARI, and the ingredients are sourced from local suppliers. This results in higher quality and higher standard of quality control, quicker testing time-as well as fresher to market objective that benefits our US customers. (and other countries). In fact, HARI has performed more tests lots since January than they did all last year! I know that some birds are accustomed to eating a particular size and that perhaps this might be an adjustment to something “new” in the dish. My own pet birds, some of whom have been eating Tropican since 1993 were a little hesitant to dive right into the dish, but they did and still do. In fact, I have some Tropican Sticks produced in NY (notable with extraordinary holey texture) mixed in with the new production, and they prefer the new production. The newer Tropican results in much less powder and dust-therefore less waste. I hope that helps explain the slightly new sizes of Tropican morsels. 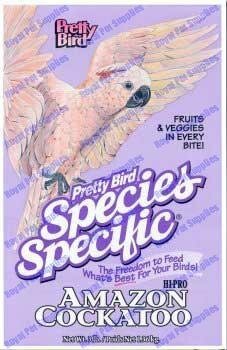 Tropican has got to be the weirdest pellet I ever feed a parrot. Lupe told me it smells like...bubble gum?? (I can't smell so Lupe gets to smell everything for me to make sure it is still okay) I also have hard time finding approprate weights to order. Would like to buy it in 5 pound not 20 pound bags. This is what the breeder feed Valentino along with Harrison's high pot course so for now I am mixing them together. Valentino will eat both pellets but when fresh food if fed to him he will attack his salad. LOL. I got to get a video of his attacking his salad. Too funny what he does with the Spinach leaves. You can't smell???? Can you taste?? I lose my sense of smell when I have a REALLY bad cold, but when that happens I can't taste anything either.